Just because there’s snow doesn’t mean you can’t ride. Just head out early while it’s still frozen. 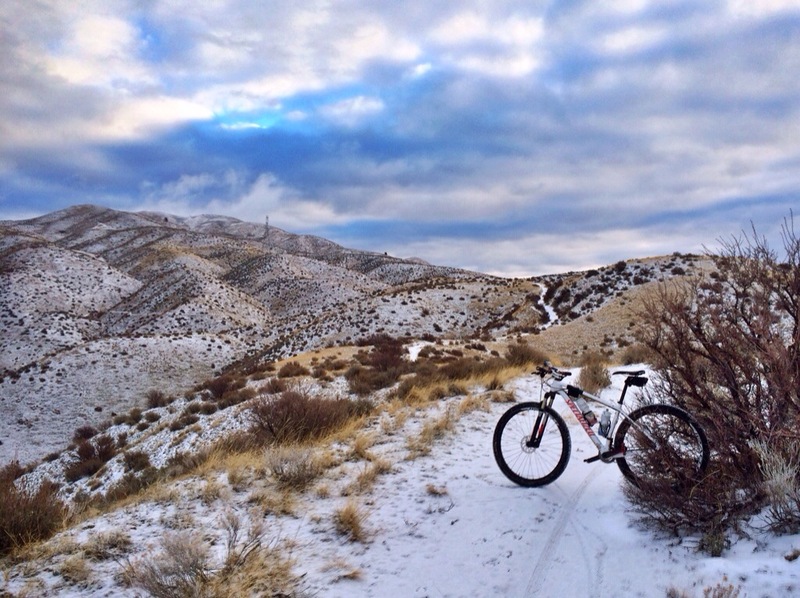 If you want to get out for a ride in the foothills this time of year, you’ll have to go early. As long as it freezes over night, you’ll have until about 10am until you should be off the trails. This morning, the trails were just starting to thaw by 10. I’d guess that by 11:00 almost everything would be too muddy to ride. Be careful in the higher bits (above the military reserve and any trail near a stream)…these spots were completely covered with shear ice, and a dusting of snow. The snow makes it really tough to see where the ice is. So there’s potential for real carnage if your descending and not paying attention. 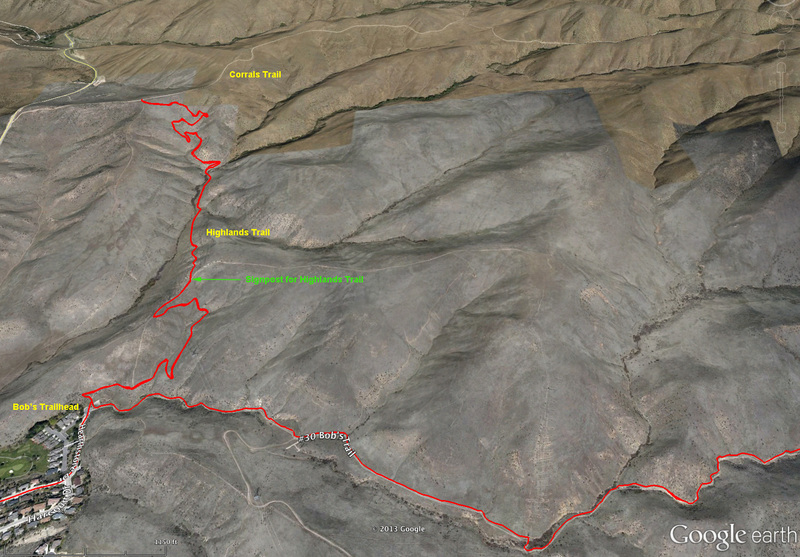 This ride starts at camels back park, goes to lower hulls, sidewinder, red cliffs, then back. Everything is in fast motion except the descent. It was a nice time to ride. A bit icy, but almost no people. It’s a short, ~10 mile loop. Great for a quick jaunt. Going straight will loop you back to Bob’s, turning left will take you to Corrals. The trail is super fun. It has some moderately steep sections (not necessarily granny gear, but still steep), and lot’s of switchbacks. 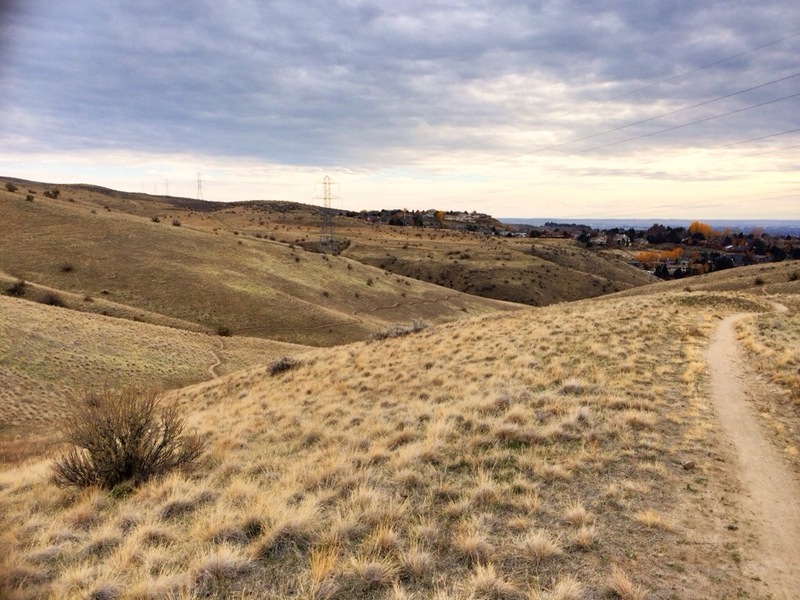 Here is a view looking back towards Bob’s (towards Boise downtown), from about half way up. Here is another view, maybe 3/4’s of the way up, looking back towards Bob’s again. I originally planned on using this trail just to connect to Corrals. But once I got to the top, I couldn’t resist going back down, and it was a hoot. Beware, though, that there are many tight switchbacks. Don’t be that guy that skids his wheels before every turn and creates braking bumps all over the place. Sometimes it’s easy to forget that we live here. I’ll try to have a post on Avimor soon. Spring has sprung. Stick to sandy trails for a while. 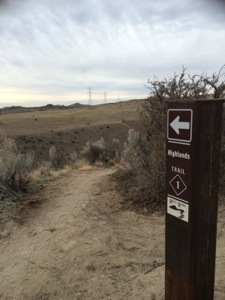 All the trails in the recent Connecting Dirt post (up to Pierce Park Rd) will likely be good between rain storms. Eagles bike park holds water fairly well too. 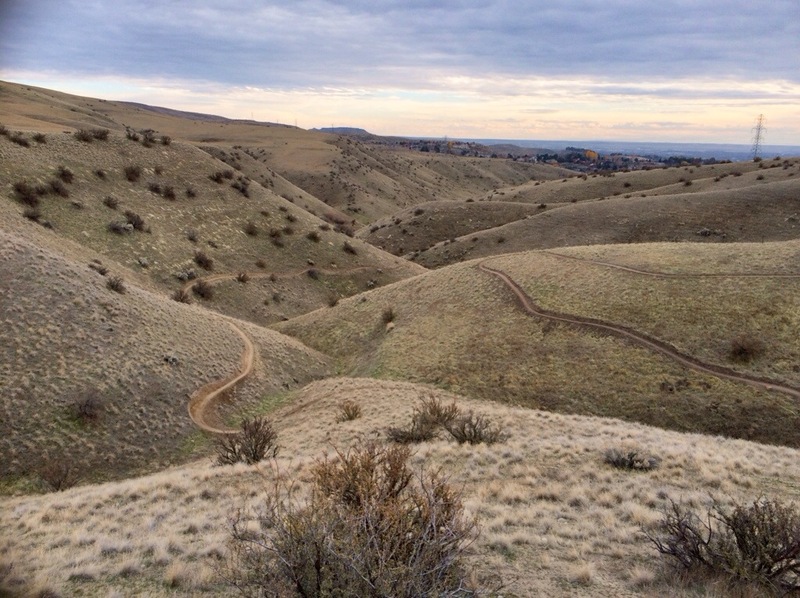 Lower Hulls and the shared OHV trails are good for recent rain too. Just make sure you turn around if you’ll be making deep tracks, or carry your bike through muddy sections. Definitely don’t ride around the mud and make trails wider. Looking back down SG loop.